What a stellar run of form Single Note is in, the tough and talented mare at Sandown on Wednesday recording her fourth consecutive victory. Working early to get to the lead, the determined four-year-old travelled well throughout the 1600m contest and, after being cuddled into the straight by the in-form Beau Mertens, she gave a good kick with 300m to go. Maintaining a good margin to the line, Single Note won by a soft 1 3/4 lengths, leading Mertens to describe her as "a beauty." "She is unbelievable," he enthused, "she tries her heart out every time she goes around and she relishes the mile." "She jumped quickly today and was always travelling well," he added. Reid Balfour was also delighted - "winning four in a row is hard to do, she is certainly in a rich vein of form." Reid enjoyed watching the race, always confident - "once she got into that lovely rhythm she was always going to be hard to run down, she pins her ears back and hates being passed." 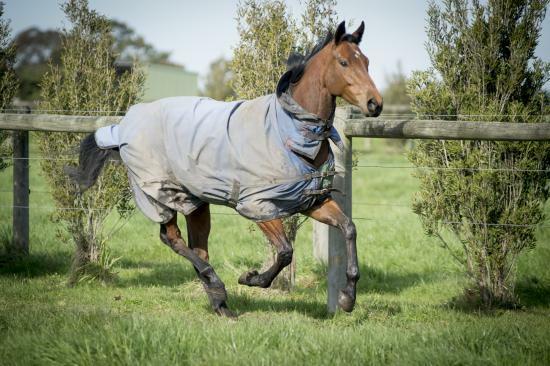 "She is a happy horse who has been thriving since we moved into the new stables," he added. Part owner Glenn McFarlane, AFL journalist at the Herald Sun, was one of those on course to cheer Single Note home. "She has done a super job," he said, beaming with pride. "Four in a row, we just can't believe it but Robbie always said she'd be better as she gets older. We could not be happier." A daughter of Not A Single Doubt out of a half-sister to Group One galloper Mentality, Single Note has amassed over $165,000 in stakes with her six victories from just 24 starts.